This is a Roman Model Tunicle with Sleeves open. 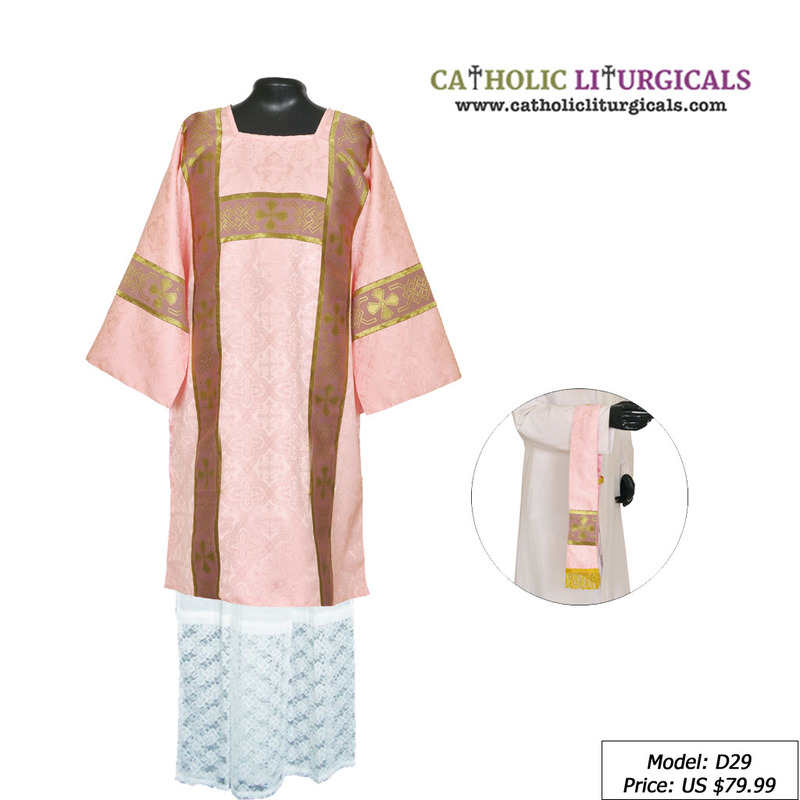 The material of the garments is made of Silk finished Damask fabric with cross designs and the orphreys are made of 4 inch polyster narrow fabric. The Tunicle comes with a matching maniple. LINING: The Tunicle is available as lined and unlined. LINED: The interior of the Tunicle is lined with light blue Satin Fabric. UNLINED: There is no lining for the Tunicle and this makes it lighter compared to the lined ones. This is best recommended in warm - hot climatic areas.